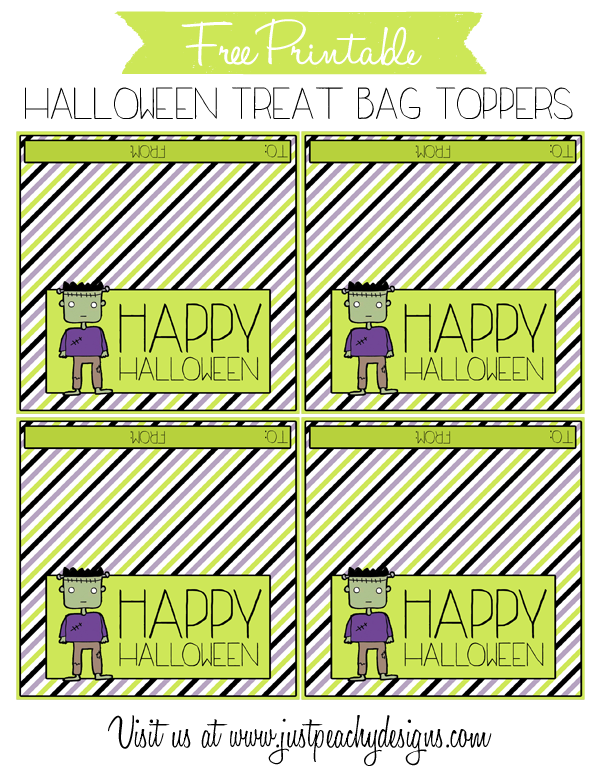 Here's a set of 4x4 inch printable Halloween treat bag toppers featuring an adorably non-threatening Frankenstein ;-) Use them for classroom. Parties, gift giving, etc. Just click the above image to download. Print, cut, then attach to a 4 inch treat bag. Happy Halloween!